Pavan is a Managing Director at Advaion with over twenty one years of experience within the United States, Europe, Latin America and the Caribbean. 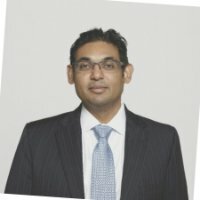 During his career, Pavan has assisted companies with numerous business advisory services including, but not limited to Initial Public Offerings (IPOs), SOX implementations, finance transformation, business process re-engineering and related performance optimization, capital market transactions as well as internal audits. Pavan is a Chartered Accountant (UK) and a Certified Public Accountant. Pavan is a member of the American Institute of Certified Public Accountants and a Fellow of the Association of Chartered Certified Accountants (UK). Prior to Advaion, Pavan was a Senior Manager at KPMG’s New York City and South Florida offices where he provided audit and advisory services to publicly and privately held clients as well as private equity groups. Pavan began his career at Price Waterhouse. Besides providing audit services to multinational corporations, Pavan was involved in cross border projects in Europe and due diligence exercises in the United States and Latin America.